If you’re experiencing slow draining tubs or sinks in the Bethany region, consider drain cleaning services with NuFlow Oklahoma today. With our work, we help prevent prevent further buildup and other debris from accruing in your pipes and forming dangerous clogs. Our services are eco-friendly and top of the line, ensuring that the clogs are removed and that your pipes are restored to normal quickly. With the grease, fats, hair, and other waste that is sent through the pipes daily in people’s homes, the drains are constantly placed under strain to continually remove the content at a fast, efficient pace. Clogs are bound to form without regular cleanings, and can quickly create problems by completely blocking the flow of debris. This flow prevention can lead to raw sewage, wastewater, and other materials flooding the toilet, faucets, and drains inside your home and business, but these horrific, damaging accidents can be avoided with the assistance of our top-of-the-line drain cleaning services. We ensure that our solutions are chemical-free and won’t damage your pipes further. At NuFlow Oklahoma, our team of professionals will be able to assist you with your pipeline problems and ensure that your pipes flow like new when the job is finished. With our drain cleaning services, we help our customers save money. By catching problems before they create flooding and backups in your home or business, we fix the problem before extensive repairs are required, resolving the issue at an affordable price. Our drain cleaning services, while helpful in emergency situations, are also valuable for preventative maintenance on your pipes. Regularly calling us for your drain cleaning service needs allows us to continually maintain the pipes and ensure that major accidents don’t take you by surprise. For drains that experience constant usage, namely the kitchen and sink drains, our cleaning services are guaranteed to keep your clean and clear of severe problems for many years, effectively extending the life of your pipelines and improving the efficiency of your sewer system as a whole. Drain cleaning is an important service, and at NuFlow Oklahoma, we have the tools and equipment necessary to identify the locations of clogs and their size through innovative sewer camera inspections as well as quickly remove them with hydro jetting, an advanced technique that allows us to blast water through the pipes, dislodging clogs and debris buildup with pure water and using a limited amount of machinery. Our goal is to keep our solutions simple and user friendly, and our practical equipment makes this possible. NuFlow Oklahoma is a leading company in cutting-edge technology and applying it to create simple and effective pipeline solutions. Our business as only continued to grow since our foundation since 1998, and we continue to invest in high-quality materials and technology to keep our solutions continuously innovative and practical for all of our customers. 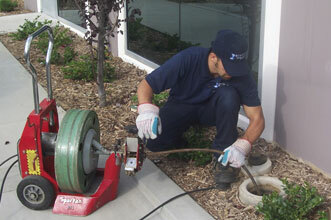 If you need our drain cleaning services for emergency situations or maintenance, call us today. We promise excellent customer service and great, long-lasting solutions at an affordable price.